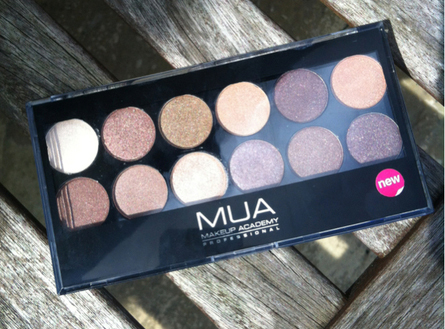 MUA Make up palette. heaven and Earth! A palette of 12 beautiful earth tone shades that blend effortlessly to give a soft shimmery finish. 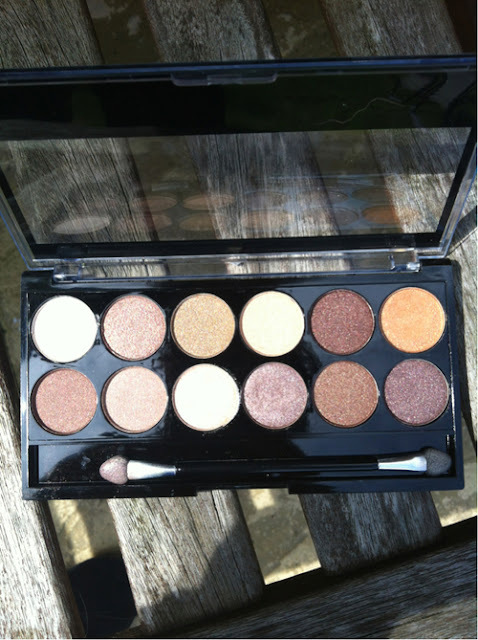 Create a natural effect using the individual shades, or mix colours together to intensify your look. When I found this in the Manchester Super drug I was amazed at the prices of the products. I mean you can not say no to a 4 pounds make up palette! I have read reviews on the eye shadow and wanted to try it out for myself as most were good reviews on it. I bought a few other bits that I will blog about soon. I adore the smokey eye and these colours are perfect for me. It makes me eyes stand out a lot more and blending a few colours together works perfectly. I love this palette, I must say I think it is one best I have bought in a long time. bold statement but adore how they blend so well onto my eyes and complete my look by not having to add too much. I always add the lightest colour on to the top of my eyes near my eyebrows and work my way through to the darkest colour to create the look I want. I wouldn't mind trying the palette glitter ball, for nights you want to glam up a tad more. glitter is always good.! The only thing I don't recommend personally is the mascara it is too dry and makes eye lashes to thin, I love mascara that makes eyes really stand out. so has any one else tried the Heaven & earth palette or recommend any of the others? I have this palette too and I think they are such a bargain for the quality of the product you get.